At Zara’s Italian Deli you’ll find an international selection of olives. 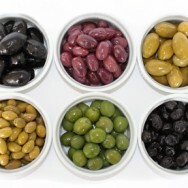 From Italian Barese to sun-dried Moroccan, our olives will take you from the Mediterranean to North Africa in just a few bites. We have olives for snacking, cooking, and for drinks. Try our locally prepared Lemon Stuffed olives in a martini. They’re fantastico!